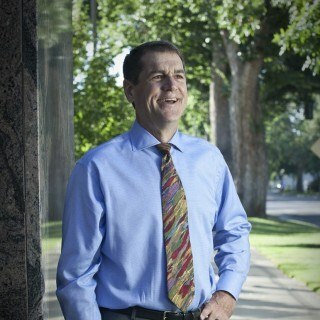 Idaho Trial Lawyer of the Year for 2011, Kurt Holzer is a past President of the Idaho Trial Lawyers Association. He is AV rated by Martindale Hubble and has received a 10 from the AVVO rating service. As trial counsel, Kurt has obtained several jury verdicts in excess of one million dollars. A member of the Idaho State Bar since 1992 and a member of the Board of Directors of the ITLA since 1997, Kurt currently serves as co-chair of its Governmental Relations committee. He is a former Idaho representative to the American Trial Lawyers Association. He has served multiple terms as a member of the Professional Conduct Board of the Idaho State Bar. Kurt worked with legislators and other groups to obtain passage of Idaho's landmark Small Lawsuit Resolution Act. He has published a number of articles on trial preparation and litigation skills as well as a study on Idaho jury behavior. We will review your facts and the law and provide insight into your situation for no charge. We practice almost exclusively on a no win/no fee basis. Q. Daughter died in motorcycle crash. She has 3 kids my other daughter and husband have custody and care of. Who files? Q. How does a personal injury lawsuit turn into a criminal case? Q. Can I go back to the insurance company and renegotiate my settlement - am finding the money doesn't cover care. A: Generally speaking the answer is no. The whole point if a settlement is that you release the claim. Insurance companies often try to get people to settle for less than a claim is worth and that is one of the reasons to have a good attorney involved in evaluating your case in the first place. There is some Idaho law that will allow a person to rescind a prior settlement in very limited circumstances. Q. Was driving a company car and got in an accident - will the other driver sue me or my company? A: Not all collisions end in a lawsuit. I am assuming that you were the person who made the mistake and caused the collision. If that is true the injured person has the right to bring the claim against you, or if you were "within the course and scope" of your employment, your employer. Many time a claim is made against both. The important question is what insurance is applicable to the car at the time you were driving it. The best thing for you to do is simply report the incident to your insurance company and employer and then let them handle the initial parts of the claim. Q. Does strict liability apply to dog bite cases in Idaho? Q. Do I have a case if I was injured in an accident as an adolescent more than two years ago but suffer from pain still?